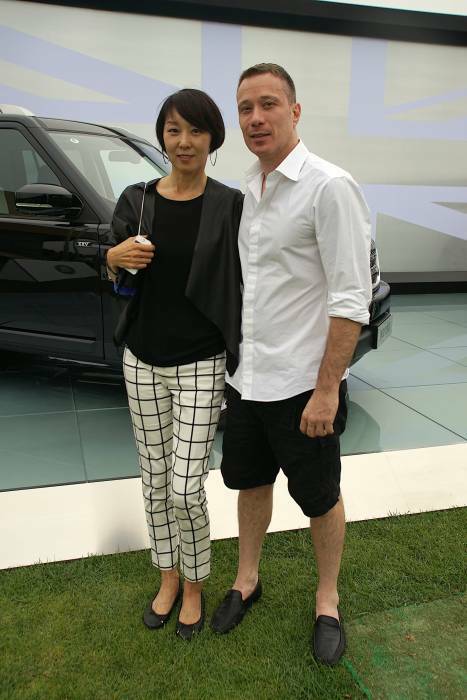 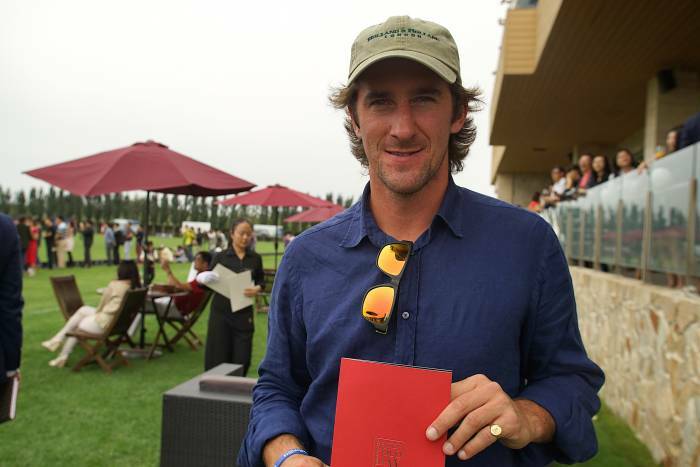 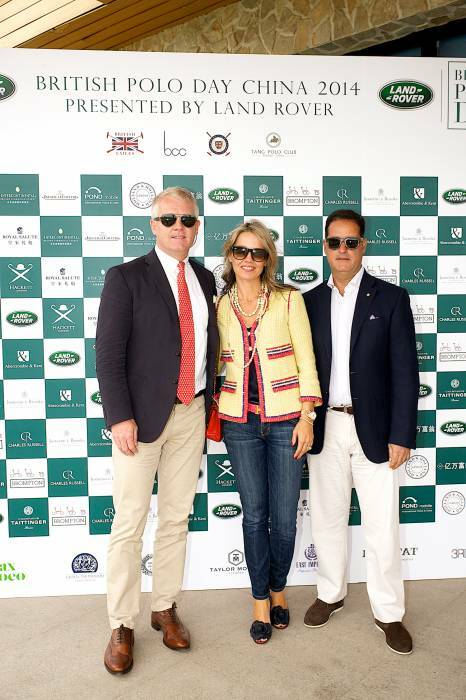 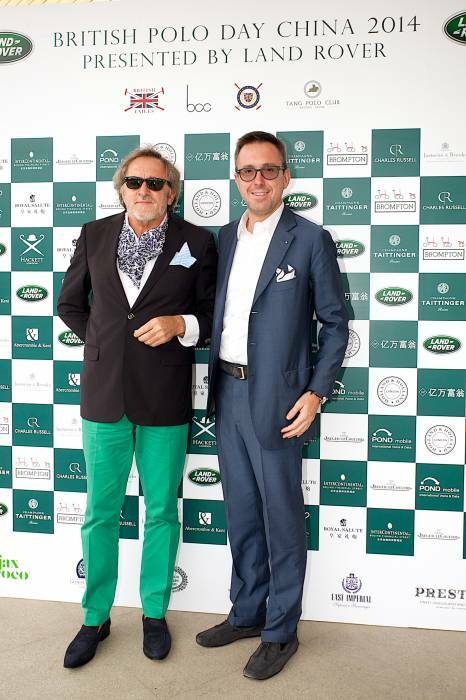 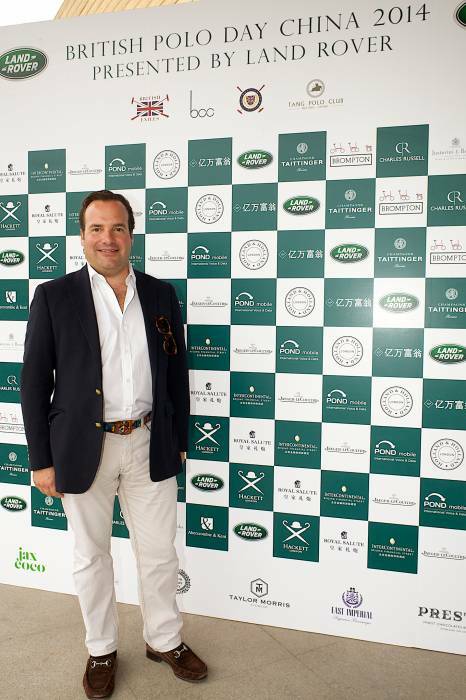 On Sunday, 14th September British Polo Day China – presented by Land Rover – entertained over 800 guests and VIPs at Beijing’s prestigious Tang Polo Club. 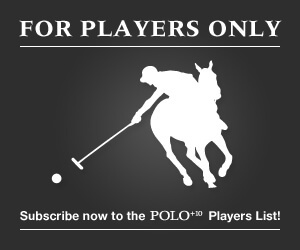 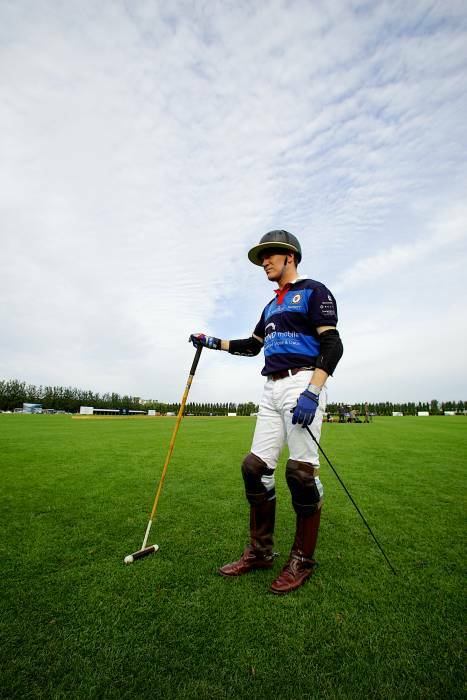 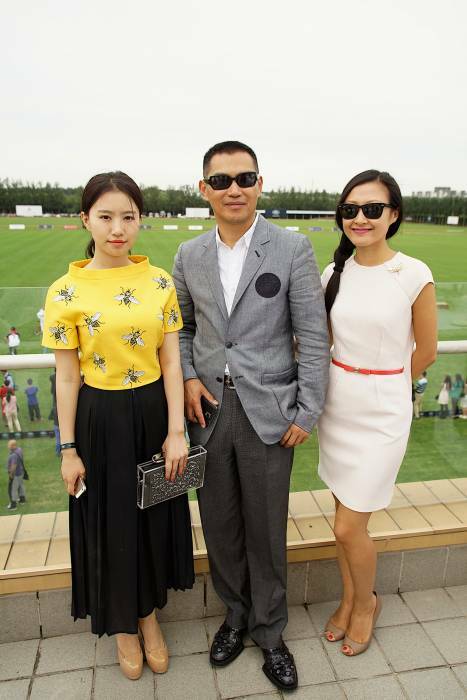 Kindly hosted by Mr Shilai Liu, Owner of Tang Polo Club and China’s finest polo player, the fourth British Polo Day China offered fast-paced polo and glamour to all spectators. 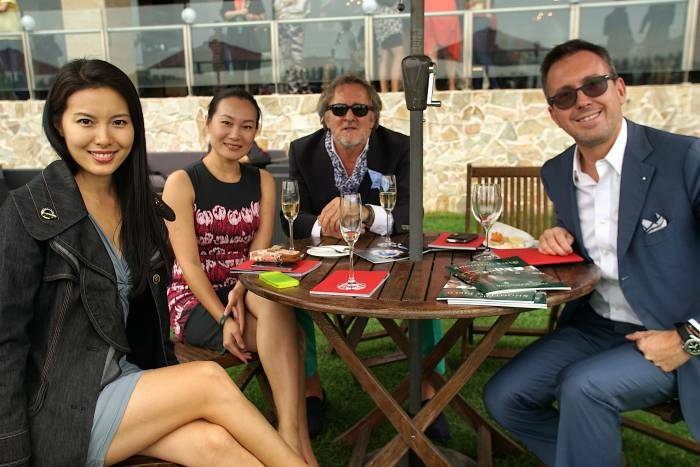 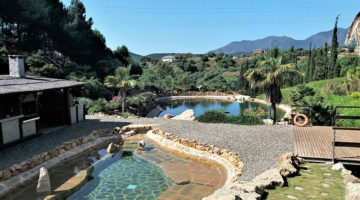 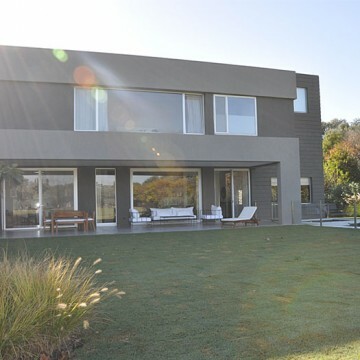 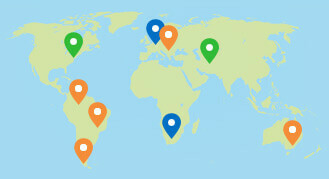 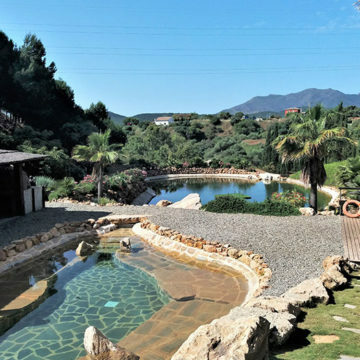 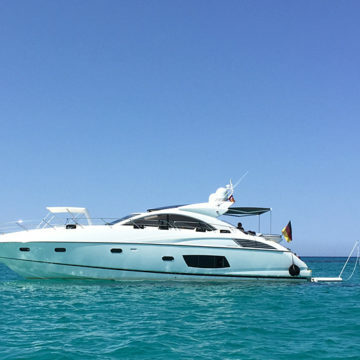 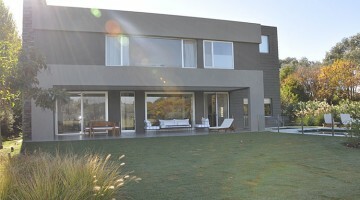 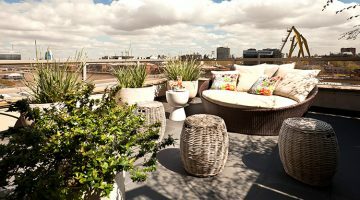 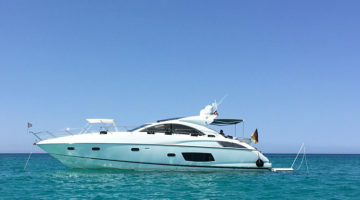 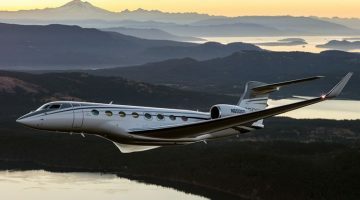 The event was joined by a host of influential society figures and business leaders. 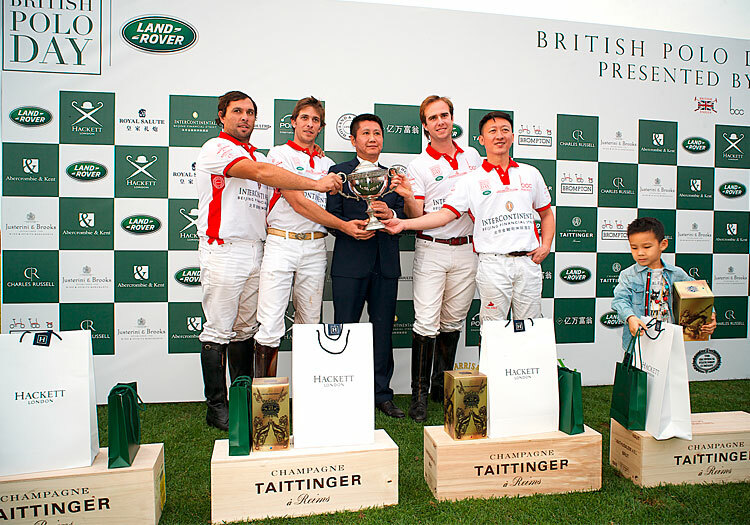 The first match of the day, The Hackett Cup, took place between the Hackett British Exiles and The InterContinental Financial Street BCC teams. 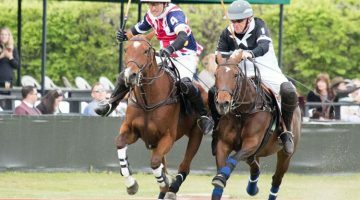 It was a thrilling, fiercely-competitive game, in which the home team clinched the Cup with an 11-6 win against the Hackett British Exiles. 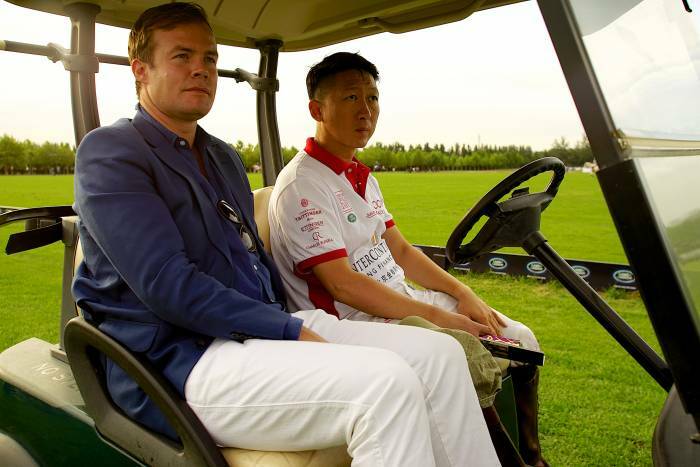 The British Exiles will prolong their tour of China to play in the China Open next week – with hope of securing a few more wins under their belt, in the week ahead. 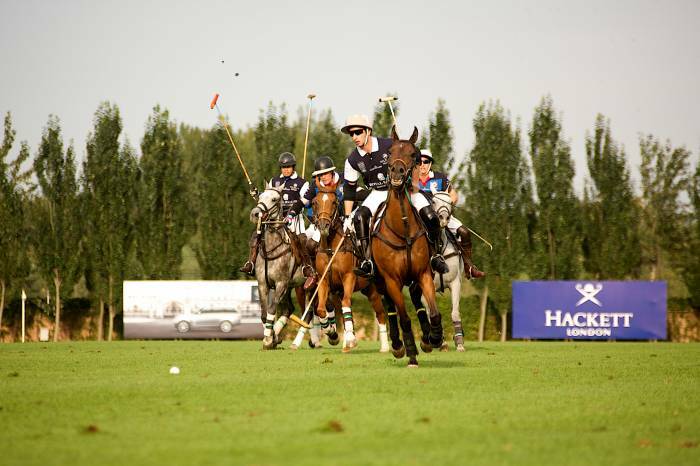 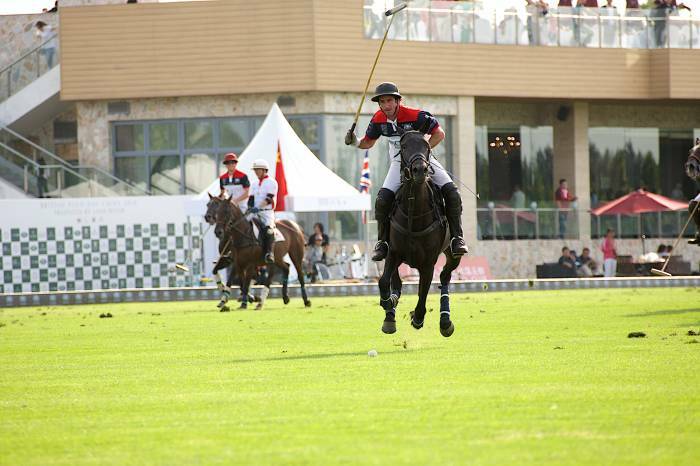 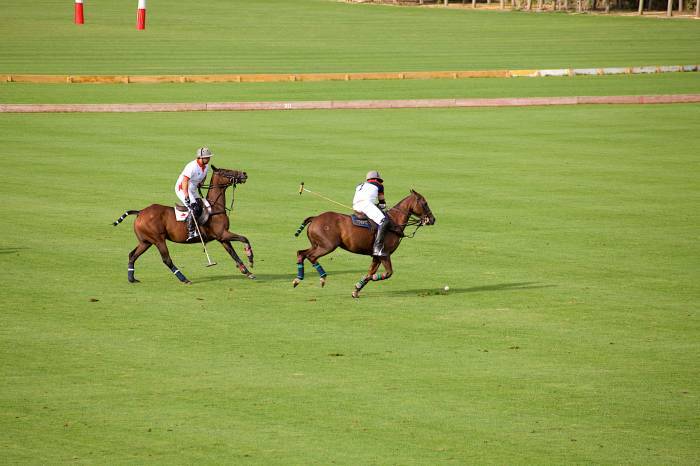 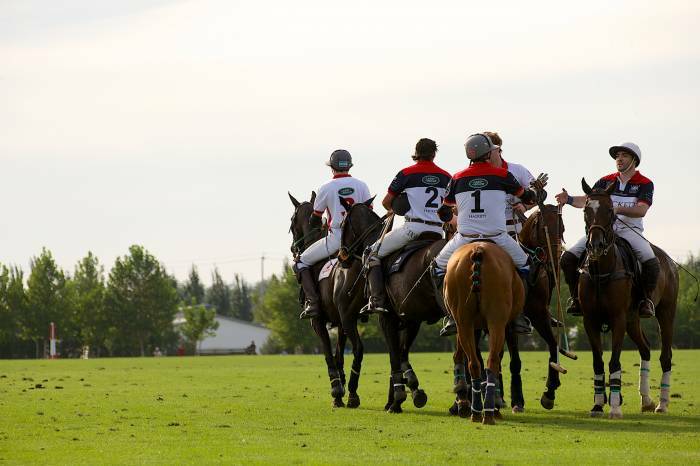 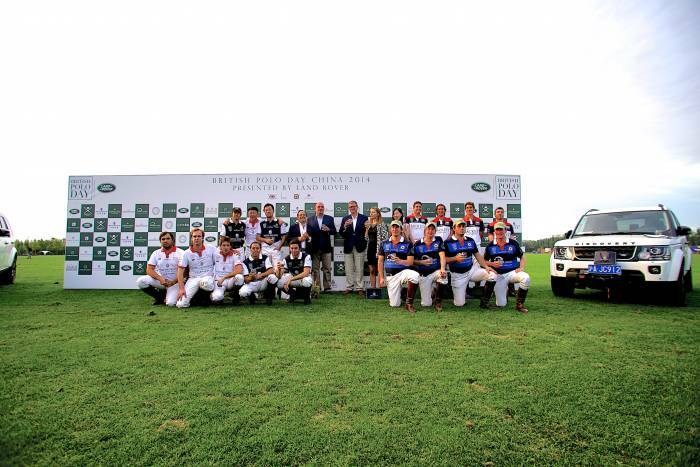 The Pond Mobile British Schools and Royal Salute Tang Polo Club teams encountered each other in the second match of the day, fighting for the The Land Rover Trophy. 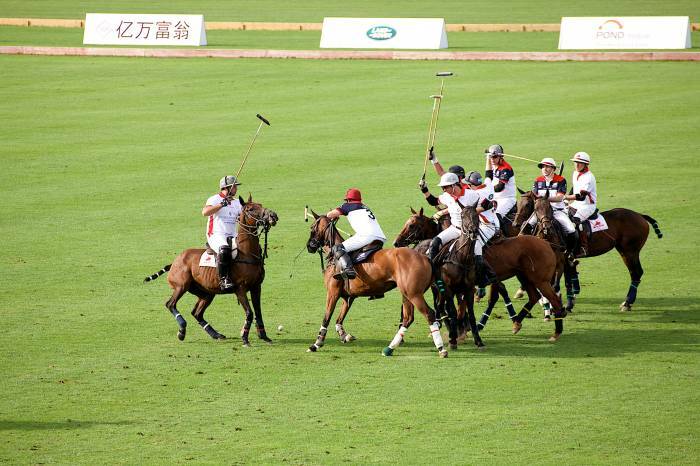 Tang Polo Club clinched a close victory over British Schools with a win of 6-4 – the first two goals being scored by two goaler and newcomer to the British Polo Day global series, Ollie Browne. 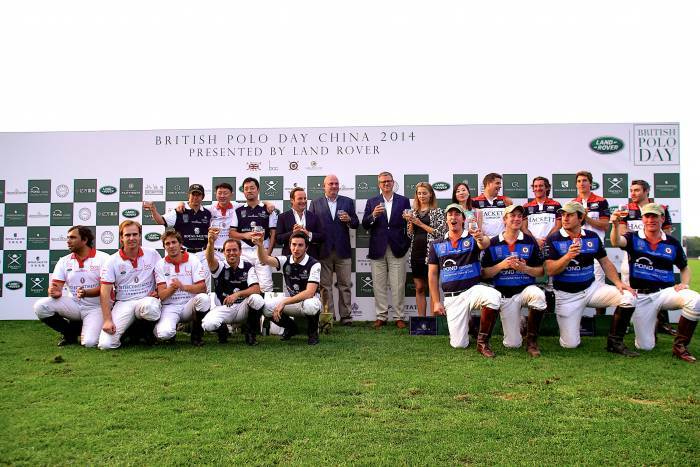 Rounding off the day’s proceedings, the crowds gathered for the British Polo Day China official prize-giving ceremony. 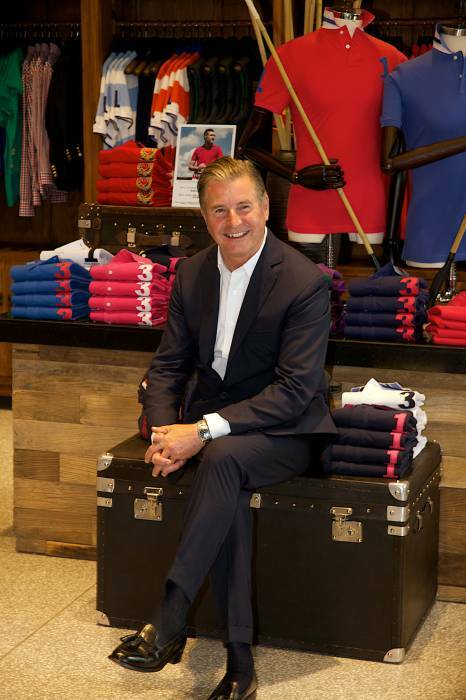 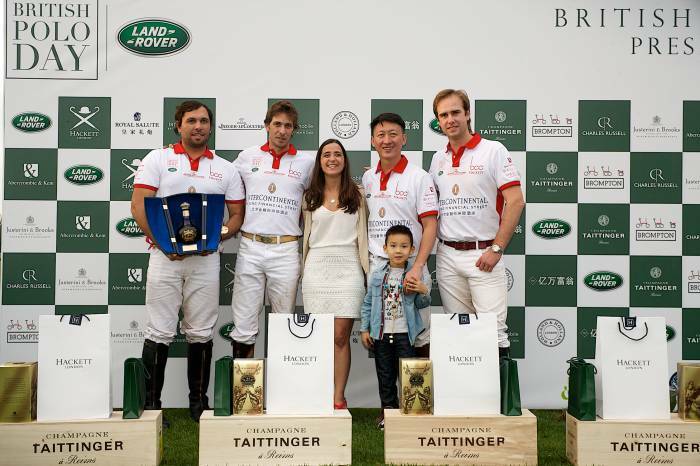 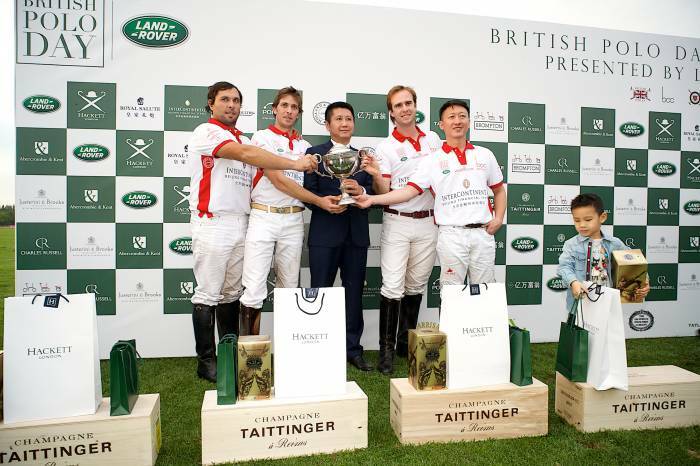 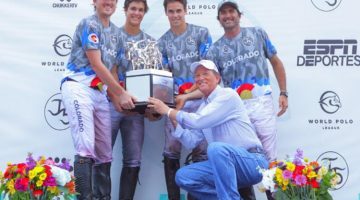 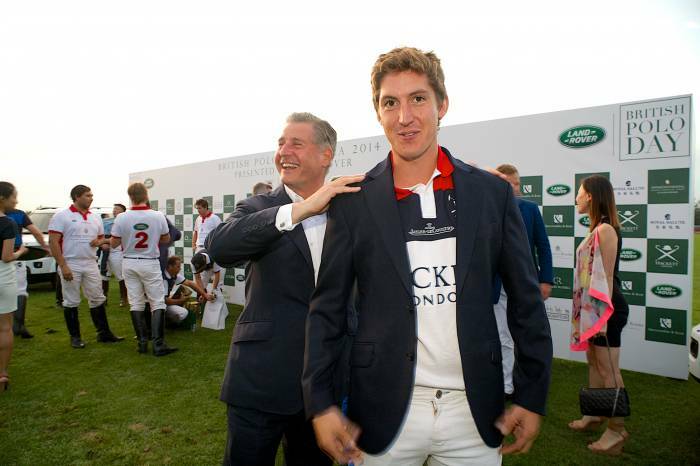 The iconic Jeremy Hackett presented the eponymous Hackett Cup to InterContinental Financial Street BCC, while Vanessa Hou – from Jaguar Land Rover China – presented the coveted Land Rover Trophy to the Royal Salute Tang Polo team. 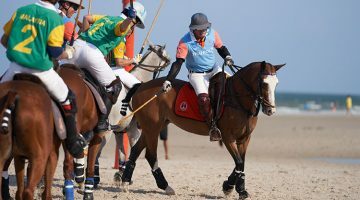 The sought-after Holland & Holland ‘Shot of the Day’ was presented by John Stevenson to Diego Gomez for an offside backhander, a tail shot that flew forty yards over the chasing players. 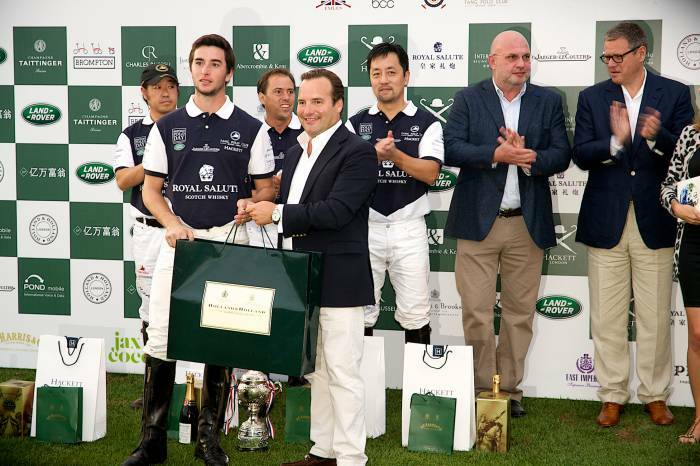 Meanwhile, Pond Mobile’s ‘Most Travelled Player’ went to Stuart Wrigley and The Royal Salute 62 Gun Salute ‘Most Valuable Player’ was presented to Miguel Diaz. 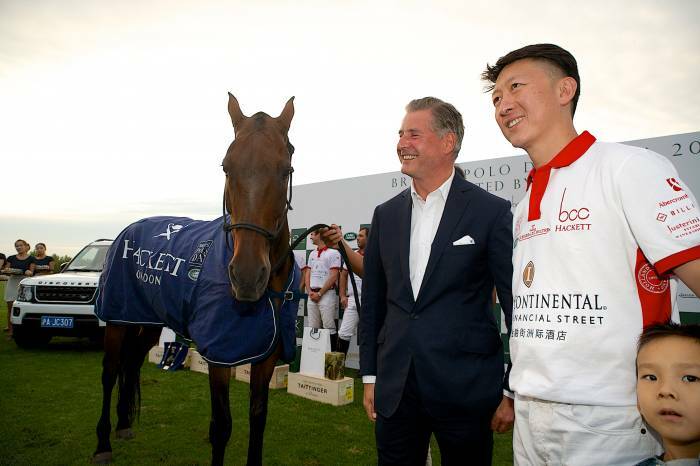 The Hackett London ‘Best Playing Pony’ went to the handsome Tinto – a fitting recipient for this prize in this, the Chinese Year of The Horse. 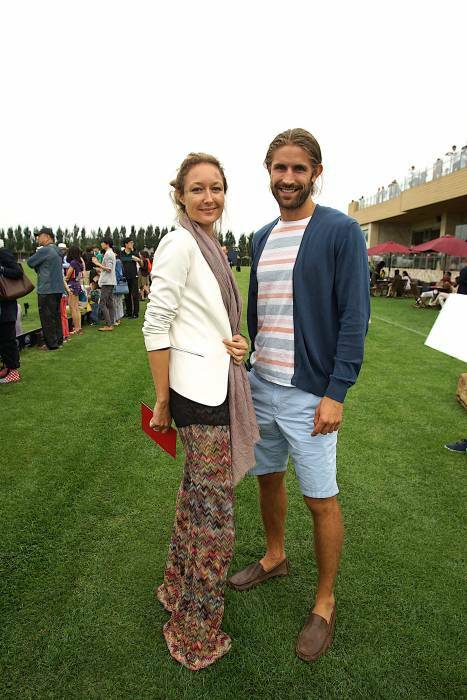 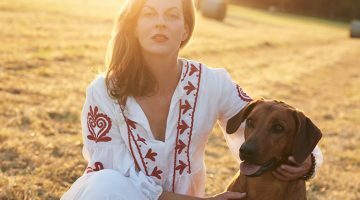 As the sun set on the fourth British Polo Day China – and the first at the internationally-acclaimed Tang Polo Club – guests and VIPs marked the occasion with an authentic Argentinian asado and glamorous after-party which continued late into the night in the Royal Salute VIP area. 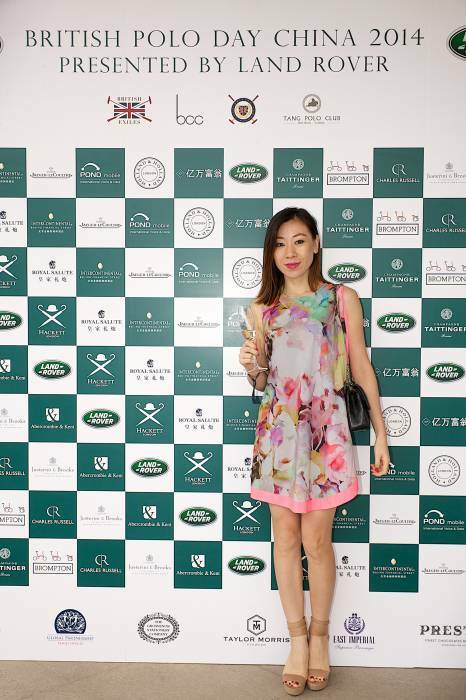 As part of British Polo Day China, all guests and VIPs enjoyed an exclusive itinerary to some of China’s most historic landmarks and exclusive residences – The Great Wall of China, The Summer Palace, The Forbidden City and Beihai Park to name a few. 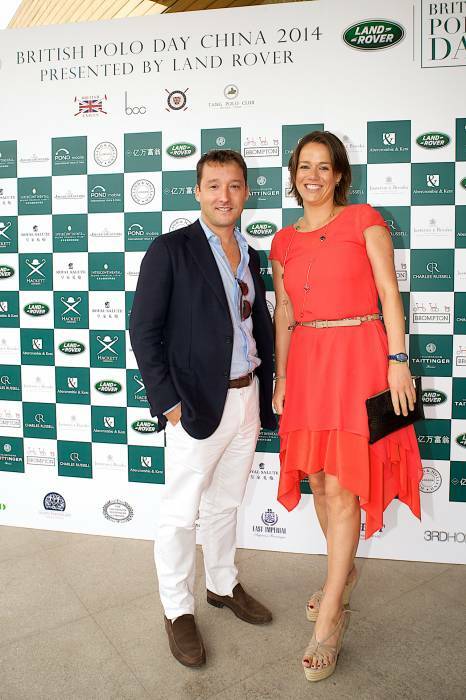 The event is partnered with Land Rover, Hackett London, Royal Salute, InterContinental Beijing Financial Street, Pond Mobile, Champagne Taittinger, Holland & Holland, Jaeger-LeCoultre, Brompton Bicycles, Charles Russell, Billionaire.com, Global Partnership Family Offices, Justerini & Brooks, Abercrombie & Kent, Ettinger London, 3rd Home, Nihiwatu, D.R Harris & Co, The Grosvenor Stationary Company, Prestat, Taylor Morris, East Imperial Superior Beverages, Jax Coco, Redburn Events, The Cavalry & Guards Club and Walpole.